New for 2018, from Aqua Flies is Brett's Klamath Intruder. We brought 4 colors of this pattern in stock including Red/Pink, Orange, Black/Blue, and Rusty/Olive. This little intruder is tied on a 15mm shank and has a great profile while providing movement. 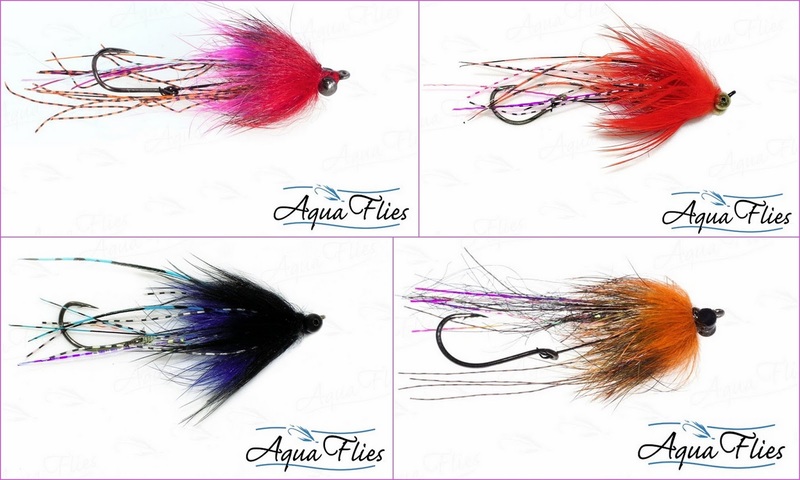 A great summer steelhead pattern that sould also double as a trout swing pattern. Find more Aqua Flies at "The Gorge"